Apple has updated Mac OS X to version 10.5.8. The update addresses AirPort connectivity, monitor resolutions and Bluetooth reliability. The update also includes some security updates. 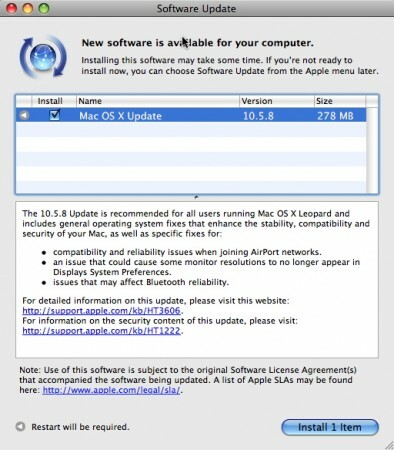 Apple also released Security Update 2009-003 for Mac OS X 10.4 Tiger. Read more about the update on Apple’s site and the security update here.